If you’re an avid makeup junkie, I think you’d agree with me when I say that this product needs no introduction. 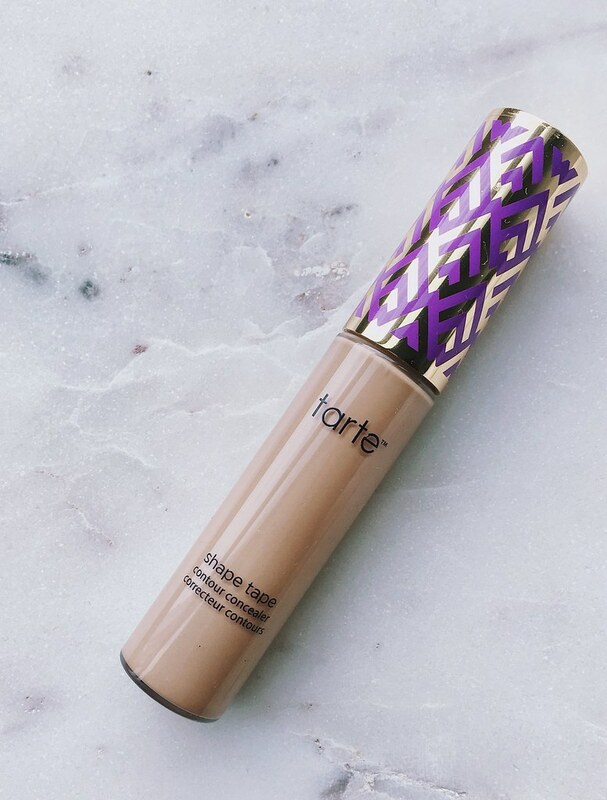 The Tarte Shape Tape Concealer has taken the makeup community by storm for the last few months due to its full coverage and creamy formula. Despite its popularity, it’s still only available through the Tarte website (for Canadians), so it’s not particularly accessible. Luckily, Tarte had a promotion where they were offering free shipping on all orders. I jumped at the chance to finally get my hands on this extremely hyped up product. What are my thoughts? Keep reading to find out! The Tarte Shape Tape Concealer retails for $31 CAD and is available through the Tarte website. There are 14 shades which unfortunately doesn’t extend too far in the deeper range, but it appears that there have been some additions to the line. Hopefully this means that Tarte is willing to expand the range in the near future. I went with the shade Medium, but I was torn between that and Tan. The concealer comes with quite a bit of product, about 0.34 oz/10 mL. For comparisons sake, the NARS Radiant Creamy Concealer comes with 0.22 oz/6 mL for $37 CAD. The product is packaged in a tube with a large doefoot applicator. I don’t really mind the size, in fact, I think it’s appropriate given that it comes in a larger tube. The Tarte Shape Tape Concealer is definitely full coverage. It has a creamy texture that is slightly thick, however it blends very easily into the skin. I wasn’t expecting something as full coverage to blend so nicely! It dries down to a demi-matte finish; it’s not so matte that it makes the skin look dry, but it dries down enough that it doesn’t really crease immediately after and doesn’t require much powder to set. I really enjoyed how well it concealed my under eyes using such a minimal amount of product. As I mentioned previously, I wasn’t exactly sure whether to get the shade Medium or Tan. Given that it is currently summer, I knew I would need a darker shade than NARS Custard but something more similar to the Becca concealer in Medium, which is currently the best match to my skintone. I’d say that that the Medium shade in the Tarte concealer matches me well enough, however I wish there were more undertones for each shade available in the range. The Medium shade for the Tarte concealer is described as “medium skin with peach undertones”, which I believe is an accurate description for the shade. Unfortunately, that’s the only undertone available for the “medium” range in the line. That’s not exactly ideal especially for a concealer that is so full coverage. I have to say that I really do think that the Tarte Shape Tape Concealer does indeed live up to the hype. I was surprised by how easily it blended into my skin and how natural it looked while also being very full coverage. It comes with a good amount of product and you only need to use a bit to conceal any spots or discolourations. I hope Tarte decides to expand their shade range in order to accommodate more skintones and undertones, and I’m also hoping that this particular product becomes available to purchase through Sephora in the near future. What is your favourite full coverage concealer? 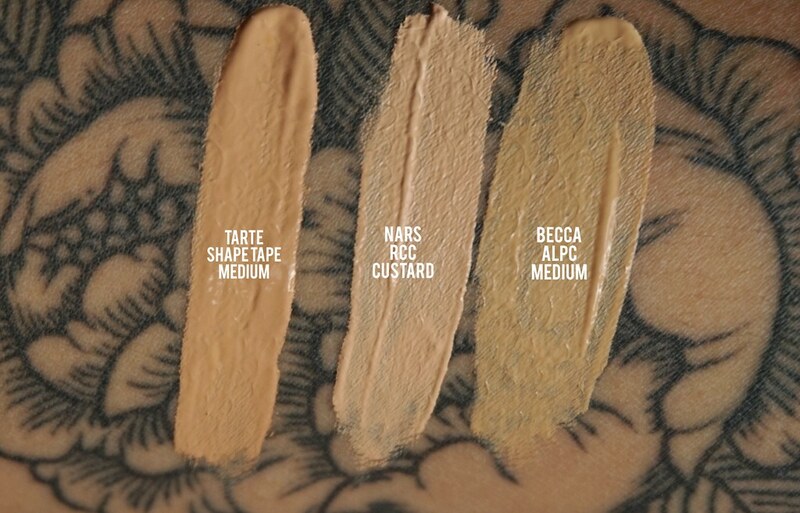 Have you tried the Tarte Shape Tape Concealer or are thinking of trying it? I just got this concealer the other day and I am IN LOVE! I actually really love the big wand/applicator, it just makes it quick and easy to apply. Another favorite concealer of mine is the Make Up For Ever Full Coverage Concealer, and as the name states…. It’s full coverage! I love how it blends and really stays put on the skin all day long. I’ve always wanted to try the MUFE concealer! I heard lots of great things about it 🙂 Unfortunately, I couldn’t find a shade that suited me well enough. Hopefully they extend their shade range soon!